Portfolio WordPress themes are ideal to present art work, design portfolios or other creative projects and work you have created or are currently working on. Portfolio WordPress templates should be convenient to work with but yet have the most useful features and options included to customize your website and present your work in the best way possible. So whether you work for a creative agency, freelance or do creative work in your free time, you might find suitable portfolio WordPress themes in our theme collection. Portfolio WordPress themes are suitable for those of you who are running a web design agency and for anyone with a creative mind. Portfolio templates usually focus on the presentation of appealing and well-organized showcases or portfolios to display projects or artwork. When selecting a suitable portfolio theme, you can opt for plain and simple one-page templates or more complex, sophisticated portfolio WordPress themes with practical features and options to display your portfolios and projects in a beautiful way. When presenting portfolios, there are many possibilities: unique gallery layouts, flexible portfolio galleries, impressive slideshows, portfolios with smooth parallax effects, etc. Some portfolio WordPress themes also include professional and feature rich sliders to prominently display selected content in an attractive manner. 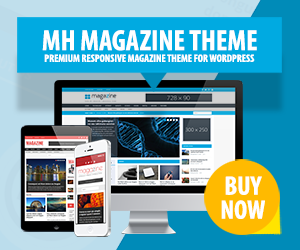 Nowadays responsiveness is a must have, make sure you opt for portfolio WordPress themes which showcase your work well-organized on mobile devices as well.